Here’s the image for Guardians Of The Galaxy #1 that Bleeding Cool was first to show you last Thursday. And has now been all cleaned up. Now asking Who Will Stand When The Last Guardian Falls? Well, there appear to be some of the Guardians of the Galaxy still present. 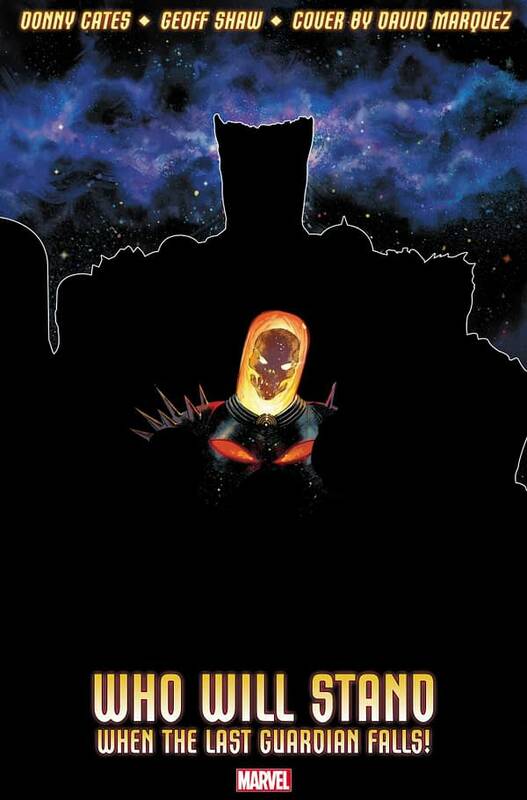 So that’s Cosmic Ghost Rider dead centre. 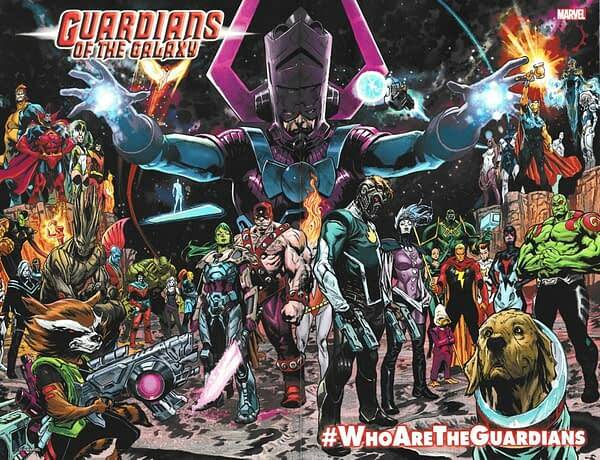 How about Silver Surfer with his board far left, Groot of The Collector centre top, Nova, mid-left, probably Rich Rider, Warlock far right. Front row… well that could be anyone. Uncle Ben? Is Your Comic Store Part of the Gallifreyan High Council of Retailers for Doctor Who: The Thirteenth Doctor?